Summary: After trained examiners and accomplished business professionals performed a thorough assessment of his work, Art Byrne has been selected as a recipient of an internationally recognized award from the Shingo Institute, a program in the Jon M. Huntsman School of Business. The author will receive the award at the Shingo International Conference occurring April 28–May 3, 2019 in Cincinnati, Ohio. LOGAN, Utah — The Shingo Institute, a program in the Jon M. Huntsman School of Business at Utah State University, has awarded Art Byrne with the Shingo Publication Award for his book, The Lean Turnaround Action Guide. Byrne has more than 30 years’ experience leading over 30 companies in 14 countries in implementing Lean strategy. While CEO of The Wiremold Company, he led an intense Lean implementation that resulted in Wiremold being awarded a Shingo Prize. While many companies have attempted to become Lean, few have captured the full promise of this better way of business. 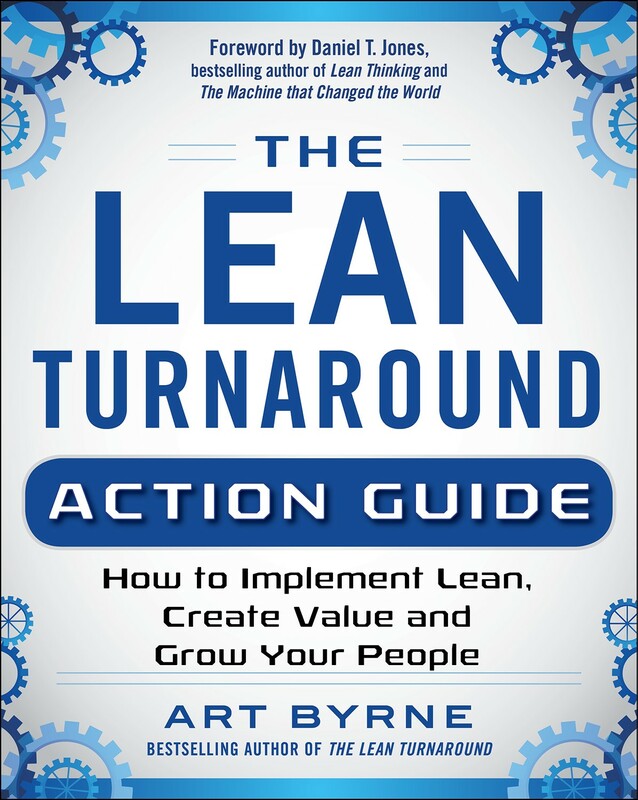 In this compelling sequel to The Lean Turnaround, Lean pioneer Art Byrne draws from his 30 years of experience leading Lean in more than 30 companies and guides readers through a step-by-step transformation. The reader is given a unique look into how a veteran Lean CEO applies the principles of work to takt time, one-piece flow, standard work, and flow, combined with an abiding respect for people and relentless drive to boost value through continually delivering more value to the customer. The basic objective of the action guide is to give CEOs a live comparison between what they are doing now and what their results could look like if they made the Lean turnaround. Unlike any other Lean books that teach elements of operational excellence, The Lean Turnaround Action Guide provides detailed financial results from making the switch to Lean that should, and has, gotten the attention of any CEO who is trying to improve the performance of his/her company. It shows CEOs what is possible if they make the Lean turnaround in a way that they understand and does so in a way that is not only easy to read but answers all the normal questions that a CEO would have to deal with in making the Lean turnaround. By setting this book in a company based on his experience, the author is able to identify and guide readers through the many challenges they will face on their successful Lean turnaround. Art Byrne will receive his award at the awards ceremony during the Shingo Conference in Cincinnati, Ohio, USA on April 28–May 3, 2019. The conference is a week-long event featuring a selection of workshops, plant tours, keynote speakers, and breakout sessions designed to provide ongoing knowledge, insights, and experience for organizations in pursuit of operational excellence.